Mama Baba (Not Melbourne’s Best Italian Restaurant) | 15,000kms of Food! So, the title of this post is a dig at the restaurant for having the audacity of putting itself as the “Melbourne’s Best Italian Restaurant” when you google it! 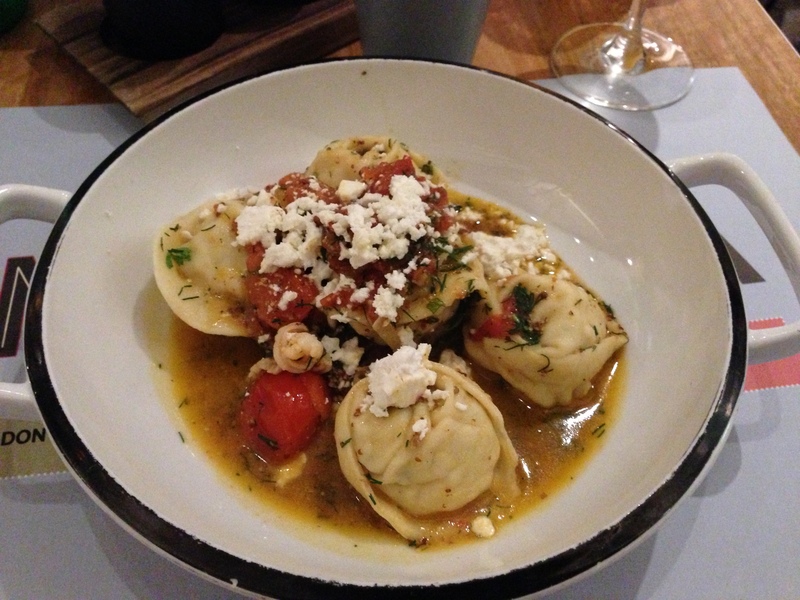 Mama Baba is NOT by any stretch of the imagination Melbourne’s best Italian restaurant. One of the reasons I blog is to remember where I’ve been and where I do not want to go again. This is one of those in the latter list. Was there at the start of the year, and had a late night dinner. 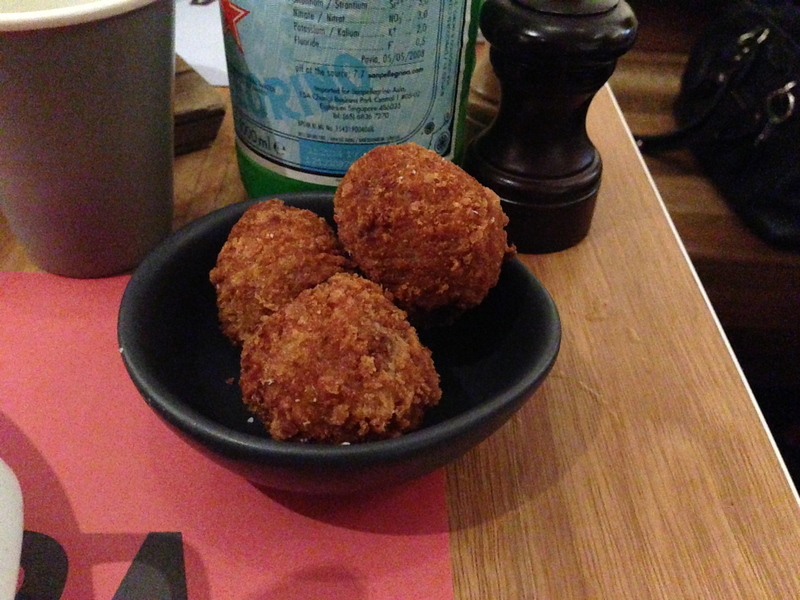 Started with the intriguing moussaka fritters, which were quite good. 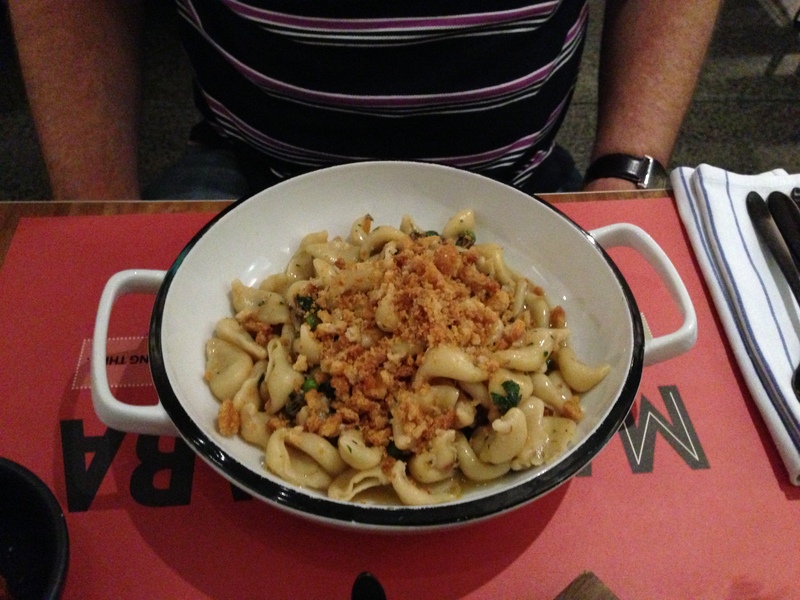 We then had pasta dishes, mine was the prawn filled ravioli whilst my boyfriend had a spiral pasta with breadcrumbs. Positives of the meal was that it was nice generous serves of pasta. Not so positive was that the taste was very one dimensional and after the first few bites, it started to taste like the same mouthful of food. I’m normally a bit more complimentary towards restaurants, but the way that this restaurant is portraying itself is totally rubbing me the wrong way. As can be seen from the urbanspoon reviews, clearly the mismatch of expectation is not just me!